Young Living Essential Oils Freebies Deal!!! Are you already a fan of essential oils? If not, you will quickly become one once you discover all the benefits. Not only can you make homemade beauty products, homemade cleaners, and more with essential oils, but there are tremendous health advantages as well. What do I get in the Young Living Premium Starter Kit? Plus, with this order, you automatically become a wholesale member, which means you will save 24% off all of your orders! 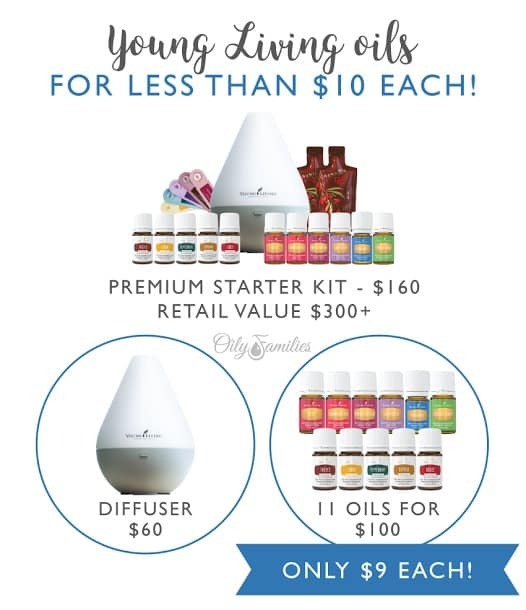 Even if you are not interested in selling Young Living essential oils, you still get the member discount if you purchase this Premium Starter Kit, and make at least one purchase of $50 per year! *One exciting aspect of picking up the Premium Starter Kit is that you immediately have your own business (if you want)! There are numerous perks to becoming a seller and promoter of Young Living essential oils, so if you have been wanting a way to make money at home, this could be the right solution for you. Please note: You are NOT required to sell anything, it is completely your choice, but if you are interested in selling Young Living essential oils, I’d be happy to share with you more about this, feel free to email me at the address below. How Do I Get My Young Living Premium Starter Kit? Go to the Young Living Enrollment page. Choose Member for the membership type. Add any additional products and fill in your information. A couple of additions you may want to consider are Lemongrass Vitality which is great for pain relief and a Thieves Household Cleaner. I like the Thieves Household Cleaner because not only is it cheaper than most any cleaner you can buy in stores, but it is non-toxic too. As a mom, this matters to me. After you fill out your information, including name, address, phone, email, etc., you will also need to agree to the terms & conditions. Select your choice of shipping, and then you will enter your payment information. Review your order and then click Activate and Place Order. That’s it! Your oils will be on their way! Please feel free to email me with any questions at freebiefindingmom@gmail.com. Your freebies will be shipped within 2-4 weeks. Almost every bottle of essential oil on the market claims to be “Pure Essential Oil”, but that claim can legally be made if there is as little at just 5% of the actual essential oil from the plant in the bottle. There is also no regulation for how an essential oil is to be extracted. Companies are free to use high-heat, high-pressure, and chemical-solvents to extract more from the plants, and still put whatever label they want on the oil. In fact, the majority of essential oil companies buy their oils from an oil broker. The company isn’t actually involved in the process of cultivating the plants or extracting the oils at all. Young Living also was the only company that was directly in charge of essential oil farming operations. Every other company I researched goes through some kind of an “oil broker” to buy their oils. They have to trust the oil broker and the farmers that he/she buys the oils from to ensure they do what they say they are doing. With Young Living, you just have to trust one company instead of several. Since I personally have friends who have visited the Young Living farms and have seen first-hand exactly how the plants are grown and the oils are distilled, I have much greater confidence in Young Living essential oils. I can’t wait till I get to visit one of the farms! 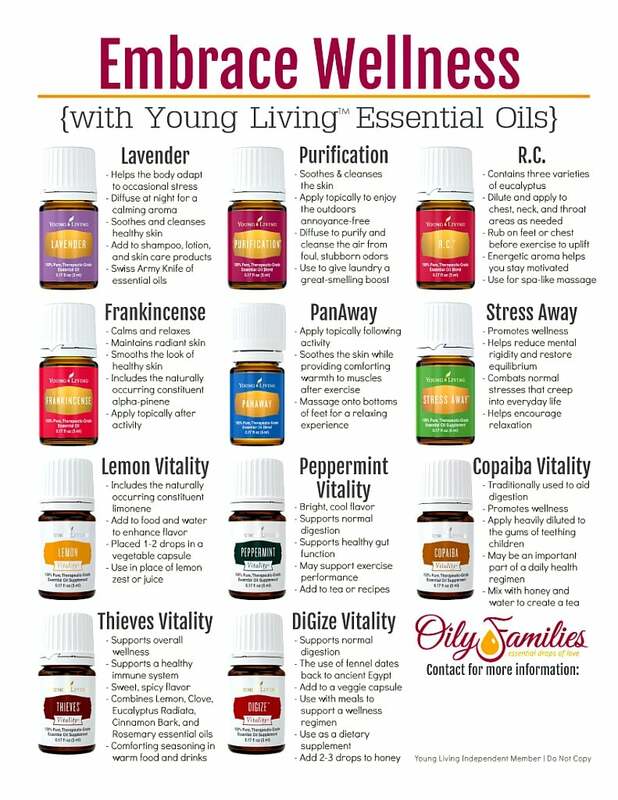 If you are unfamiliar with how to use Young Living Essential Oils, check out my friend Stephanie’s Essential Oils 101 video below. If you do find yourself making regular purchases each month, then Young Living has a rewards program (called Essential Rewards) where you can make a percentage back in product credit each month on all of your purchases. So that’s a great program to join if you find that you want to purchase regularly (but it’s not a requirement for being a wholesale member). I can’t speak to the quality of other companies, but I can say that Young Living was the only company in my research of essential oil companies that could answer all of my questions about purity in a way that satisfied me. As mentioned above, Young Living was the only company that has their own farms (in the regions where the plants should be grown), could absolutely guarantee that no pesticides or herbicides were used in the growing of any of their oils (they do all of the weeding by hand and do not spray ANY chemicals on the plant – even the chemicals approved for use in organic farming), has their own testing equipment (they do both in-house and 3rd party testing, and use many different testing methods not just GC/MS which only tests for certain chemicals, not whether those chemicals are synthetic or not), and only uses the first distillation of oils instead of adding chemicals to get more out of the plant. Plus I appreciate that Young Living is a full-disclosure company. ANYONE can visit the farms, participate in the harvesting and distillation, view the Young Living labs, and see the entire process. That’s not an option with any other company. One of the benefits of getting a starter kit through this promotion with me is that you also get to join our private Facebook group that’s specifically for questions about essential oils! Trust me, it is an invaluable resource! The reference guide that I am including in this offer is also a very helpful resource. Nope! Young Living actually has an entire line of personal care products, supplements, meal replacements, energy drinks, and more! Almost every product incorporates essential oils (for example, frankincense is absolutely wonderful in facial products), but there’s a wide variety of products available. For those who live in Canada, we will mail the reference guide, but will need to either reduce or remove the gift card to cover the extra shipping charge. International orders of 100 PV or more will receive a $20 Amazon or Paypal gift card. Many times the only kit that is offered to those that reside outside of the US doesn’t have a PV at all. To receive the gift card, you will need to have a minimum of 100 PV in your final order. Please let me know if you have any other questions and I will do my best to answer them and THANKS for choosing Young Living Essential Oils! How do you get the starter kit?